In December 2018, Swinburne University formally recognised the achievements of Peggy O’Neal, President of the Richmond Football Club, by awarding her an Honorary Doctorate of Law. Peggy was singled out for her immense contributions in the fields of law and sport, and her role in elevating the status of women and girls in Australia. In her acceptance speech to the Swinburne University Graduate Law Class of 2018, she outlined her biggest inspirations in her life and career, urging graduates to find their own motivating force. Read her speech in full below. Chancellor Goldsmith, Vice Chancellor Kristjanson, University Councilors, Swinburne University senior executives, graduates, ladies and gentlemen. I am delighted to be here today on the occasion of Swinburne University awarding degrees to the first graduating class of the University’s Law School. I am honoured and humbled to be awarded an Honorary Doctor of Laws and, so, to become a member of the Swinburne University class of 2018 and I am particularly pleased that the Honorary degree cited my work in gender equality and development of leaders in sport. I have been asked to speak to you for a few minutes, so, in the short time available, I’d like to touch briefly on those 3 topics: education, gender equality and sport. These 3 things, collectively, have been my life’s work and, for different reasons, my life’s passions – and are the 3 things that I care enough about to want to make a difference. But the greatest of these (the cornerstone of all) is education – and I have never ceased to be grateful for what that has made possible. Perhaps like many of you, I am the first person in the history of my family to go to university and the first to attain a professional degree. I grew up in coal mining towns in the Appalachian Mountains in the United States. My father was a coal miner when I was born – as his brothers, father, uncles and grandfathers were before him. It was rather rough in those mountains and opportunities were limited – but my parents valued education – and rightly believed that education opened doors and that education could change lives in a single generation. They wanted me and my younger sister to have the education that they never had. At a time when many people in that part of the world didn’t see any reason that girls needed to be educated, by accident of birth, I had parents who were different – and I naturally came to value education too. In those formative years in that remote place, I had fantastic teachers and I perceived no disadvantage in being so far away from cities and all those experiences because I fell in love with reading, absorbing all I could about the world and the many types of people who occupy it. I was never bored; I just opened a book. I decided that the law was one endeavour where I could read and write for a living – and get paid. But over time, the law became more than a job. The law revealed itself to be important to the ordering of society – we all talk about the rule of law – but involvement with the law also revealed that those ‘rules’ were decided by the men who were in power and the law reflected their policies and their views which often did not regard women as capable adults and did not afford women the same rights as men. I was a still in secondary school in America when ‘women’s liberation’ (as it was called then) came of age and attempted to secure an equal place for women in all aspects of society. It struck a chord with me that reverberates until today – I wasn’t exactly aware at that point in life that there was a limit on what a female could do – because I had been told by my supportive parents that I could do anything. But when I started applying to universities and was told that there were some schools that I couldn’t go to because I was a girl, and when I started work and the most interesting projects seemed to go to the male law graduates – it was then that the theoretical became actual. It is only with hindsight that I realise that, about that time, I was determined that with every chance I had, I would push against those structures. I would do what I could, when I could. I might not have all the answers but I would certainly try to make the problem smaller. The law also taught me that gender equality is about human rights and justice. I hold that premise close to my heart. So, where does sport come in? I have loved sport of almost every kind for as long as I can recall. However, when I was growing up, boys played sport and girls watched. Until the federal law changed in America, girls never had equal opportunity to play sport or to consider sport administration as a career. When I moved to Australia, I fell in love with Australian Rules Football, the game around which Victoria revolves for most of the year. Attending games was a welcome break from the rigours of law practice and, as an immigrant, I felt that once I had a team, I belonged. But I also immediately noticed that it was a game for men, run by men, and that tradition ran deep. I picked Richmond as my team because I live there. Little by little I got more interested in the business of the sport. I became more involved with the Club and it all happened rather organically. Over time, I turned into one of those ‘mad’ Richmond supporters. 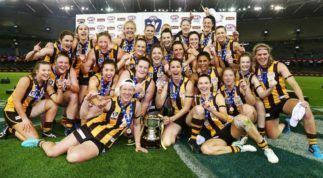 In 2005, I was asked to join the board and, knowing that I’d be the first woman on the Richmond board and one of a handful of women on AFL club boards nationally, I thought, “a door just opened and you have to step through”. So, when I became president of Richmond in 2013, again I thought: “put your nerves aside and walk through that open door”. Being president of Richmond has given me a great platform to lobby for gender equality, not only in sport but also in society and, as you have heard, many opportunities to do so have come my way. I am encouraged about women and girls’ increasing participation in sport and increasing involvement in sport commentary and administration. I am delighted that it is becoming commonplace. On the other hand, I am disappointed that it is still news that women are taking certain roles for the ‘first’ time – when that should have been the case many years ago. The doors are not opening quickly enough. But that just means that there is still much work to be done and that we can never take our gains for granted. To conclude, I can’t say that I planned that this is where my life would take me. I have become a true believer in the saying that most of us don’t discover where we are headed until we arrive. It’s the circuitous route of finding our purpose that makes life interesting and fills us with energy and optimism. Graduates, now is your time: now is the time to find your purpose. So, to all my fellow graduates and their families and friends – well done. Well done to you who will receive the diplomas and well done to all of the others in the audience whose support made this achievement possible for all us graduates. Peggy is a consultant to Lander & Rogers and has specialised in Superannuation and Financial Services Law for more than 20 years. 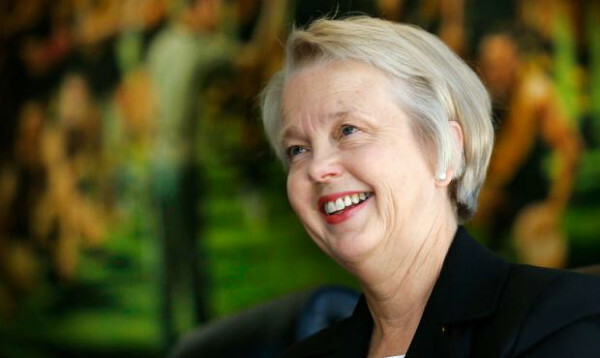 Peggy has been president of the Richmond Football Club since October 2013, having served on that board since 2005. 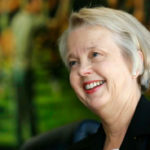 Peggy is presently a non-executive director of the Commonwealth Superannuation Corporation as well as a subsidiary of National Australia Bank. In the not for profit sector, she is on the board of Women’s Housing, on the investment advisory panel of Home for Homes (an initiative of the Big Issue) and an ambassador for micro-finance organisation, Opportunity International. Peggy has been named as one of the Financial Review/Westpac 100 Women of Influence, Women’s Weekly 50 Most Powerful Women in Australia, and she is also a Fellow of the Australian Institute of Company Directors. 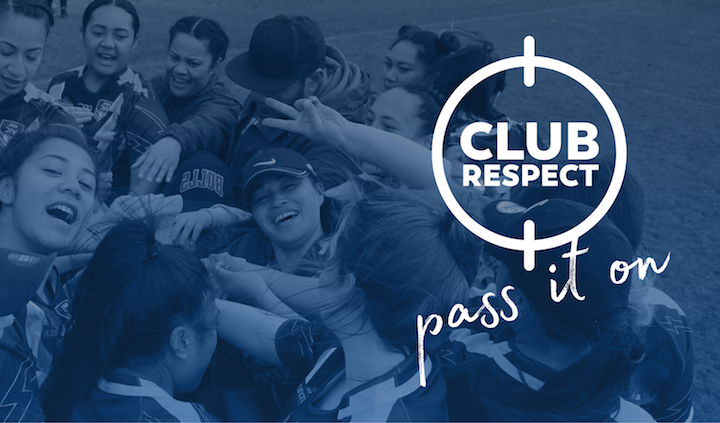 Club Respect has been into the stratosphere – and we want you to get involved! 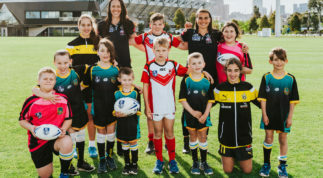 Created by the Victorian Women’s Trust and Nirodah, Club Respect gives grassroots sports clubs the tools to embed a culture of respect in all of their practices. Pass it on. Author Nicole Hayes writes about her on-again, off-again relationship with Aussie Rules: "just when I think it’s all over between footy and me, just when I’m ready to file for divorce or a trial separation, something happens so filled with joy, so powerful in what it represents, that I end up falling in love all over again."